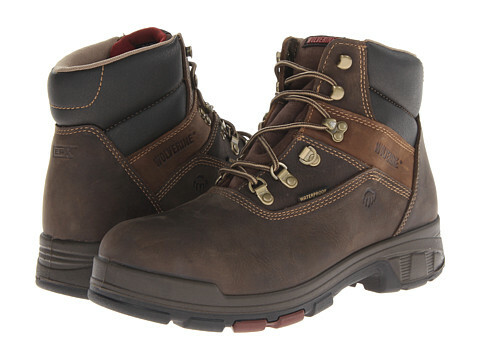 No matter what the day has in store, our Exeter boot has it covered. Light hike? Casual Friday? Rain? The Exeter is the perfect choice. 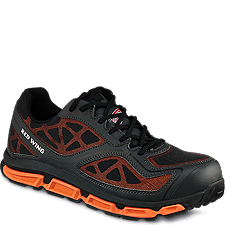 It’s got Abzorb® pods to cushion your foot at the heel and forefoot, plus breathable Gore-Tex® waterproof construction to keep you dry. 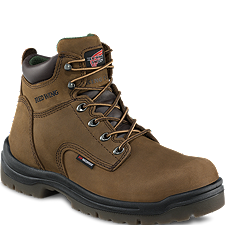 Not to mention, Rollbar® technology for rear-foot stability, an easy-tie lacing system for speed, a heel tab for easy on-and-off and full-grain leather for style. Sizes:(B) 9-16 (D) 8-18 (2E) 8-16 (4E) 8-18 (6E) 8-16* sizes available although not all in stock. 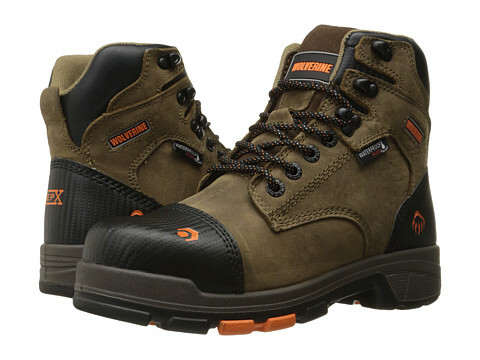 This steel-toe waterproof mudguard sport boot features removable footbeds with EVA and Memory Foam, Abzorb® on the lasting boards, seam-sealed waterproof construction, Rollbar® for rear foot stability, and slip-resistant Tru-Trak outsoles. 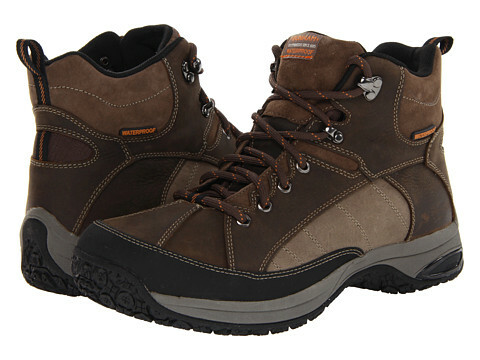 Slip resistance meets ASTM F1677, Mark II Forepart: Dry-0.78, Wet-0.67; Heel: Dry-0.79, Wet-0.65. 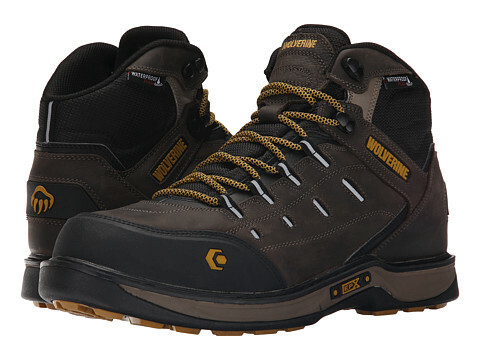 Steel toe cap meets ASTM F2412-11 M I/75 C/75 Impact resistance: 15mm; Compression resistance: 19.5mm. Sizes: (D) 7-17 (4E) 7-17 * sizes available although not all in stock. The mid-height version of Merrell’s endless summer essential is now an even better match for summer spritzers or water spurts with the addition of waterproof construction and the leather reinforced breathable mesh upper. 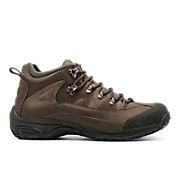 Women’s version includes QForm® Comfort stride alignment in the Merrell air cushion midsole. 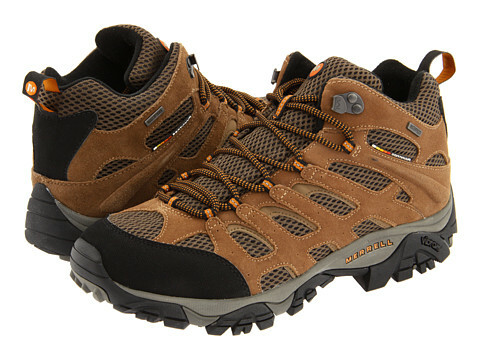 Vibram® Multi-Sport Plus sole increases braking power at the heel for more demanding terrain. 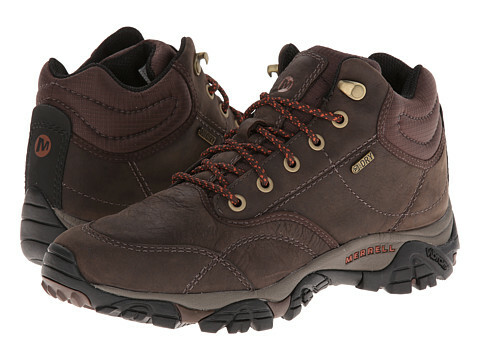 With a hiking sole and an oiled leather and textile upper for sophistication, this waterproof mid shoe is ready for camping and cabins, but transitions well to urban landscapes where traction and rugged good looks can get you places…lots of them. 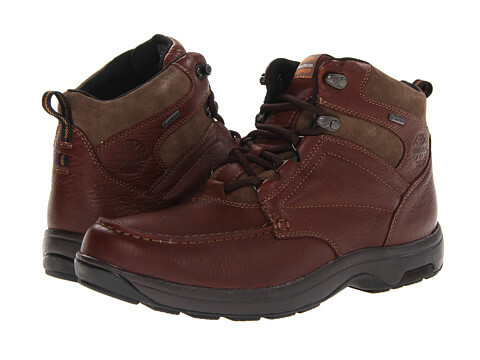 Your feet will feel dry in cushioned comfort tackling the all day demands of your winter days. The days are getting shorter and the hills and mountains beckon. Answer the call with the Cloud — a mid-cut waterproof boot that is perfect for any weekend adventure. From its speed lace eyelet system to its slip resistant Tru-Trak outsoles, the Cloud can take you anywhere you want to go. Sizes:(B) 9-16 (D) 7-18 (2E) 8-16 (4E) 7-18 * sizes available although not all in stock.